International Fisherfolk and Fishworkers' Coalition – Uphold Fisherfolks' Rights! 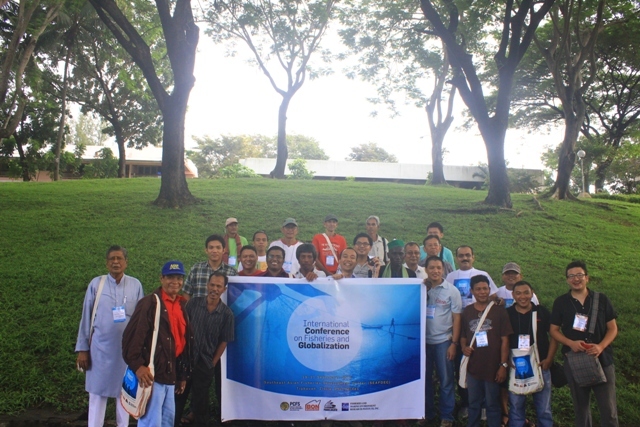 Why is Fisherfolk International Solidarity Formation a Must? can he achieve universal undertaking via a one man crusade approach or ala Don Quixote. This just validates the rationale behind an association, organization, or a solidarity formation of whatever cause and purpose. “Think globally, act locally.” This has been a widely accepted dictum in the environmental movement of the years. That while the concern is global, the conservation practice that is actually being under taken in one particular part of the earth is part of the worldwide undertaking for that purpose. Meaning, the act of conservation must be a concerted and unified effort. It is here that strong linkages among organizations, groups and citizens of the world gain utmost prominence and importance. 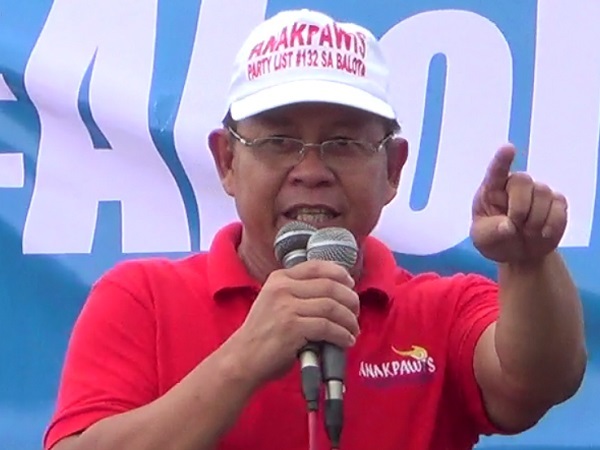 Ka Pando Hicap is a chairperson of National Federation of Small Fisherfolk Organization in the Philippines (Pamalakaya) and also a Representative of a militant and marginalized group Anakpawis partylist in the lower House of Representatives. Privilege Speech of Anakpawis Representative Fernando Hicap on the 16thyear since legislation of Fisheries Code of 1998. Honorable Speaker of the House and to my co-legislators in the lower House of Representatives, good afternoon to all of us. Mr. Speaker, I want to take this opportunity to share the present situation of the poor Filipino fisherfolks. The year 2014 is the 16th year since the Republic Act 8550 or the Philippine Fisheries Code of 1998 was passed by Congress and signed into to law on February 24, 1998 by former President Fidel Valdez Ramos. MANILA – A national federation of small fishermen today accused President Benigno Simeon Aquino III and the Armed Forces of the Philippines (AFP) of using small fishermen as political pawns and ready-made collateral damage in its current dispute with China over islands in the West Philippine Sea. President Benigno Simeon Aquino III to “fires of hell” as they burned placard-sized photos of the Chief Executive with caption “Diablo ng Malacanang” in a rally held this morning at Mendiola Bridge. Manila, Philippines- The left-leaning fisherfolk alliance Pambansang Lakas ng Kilusang Mamamalakaya ng Pilipinas (Pamalakaya) on Friday dismissed as “patently pathetic, rated-A puppetry and blockbuster act of pauperism the call of Department of National Defense (DND) Secretary Voltaire Gazmin for superpowers like the United States to come in and intervene on the current conflict in West Philippine Sea to check the aggressive campaign of China in the disputed waters. Manila, Philippines- Too many malls have been built displace us. Too many fisherfolk dreams have been shattered to give way to large-scale reclamation projects intended for construction of huge malls and entertainment centers.